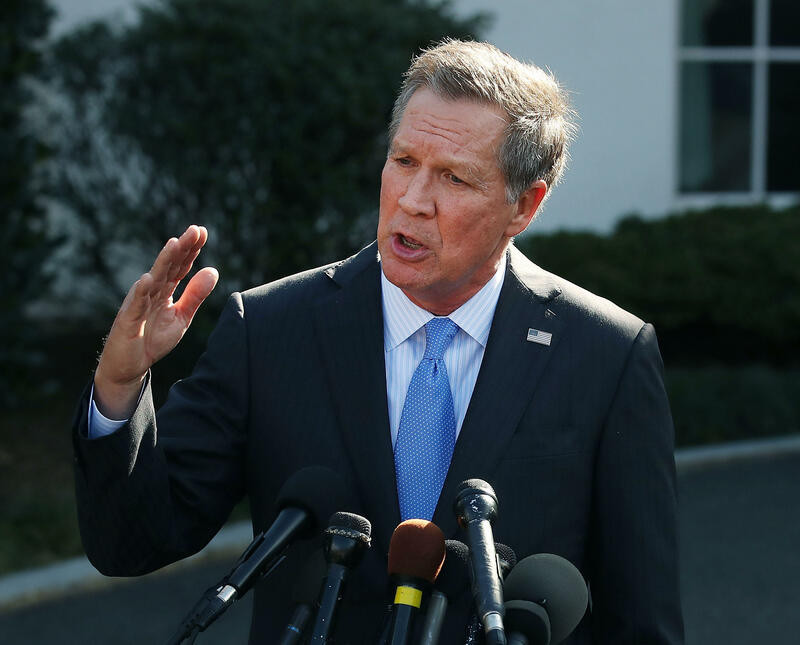 Governor John Kasich is back to shooting down persistent rumors of a 2020 presidential run, this time flatly denying a joint unity ticket with his newfound friend and fellow Governor John Hickenlooper of Colorado. "Look, Kasich/Hickenlooper. You couldn't, first of all, you couldn't pronounce it. And secondly, you couldn't fit it on a bumper sticker," joked the Ohio republican on NBC's Meet the Press on Sunday. Anchor Chuck Todd pressed Kasich further, pointing out the bumper sticker issue was not an outright denial of recent reports the two lawmakers were thinking about challenging President Trump in 2020. "The answer is no, ok." Kasich responded firmly. The rumors of a joint run, with Kasich leading the ticket, was first reported by Axios last week. The governor said however, his working together closely with Hickenlooper on issues like health care and tax reform is a message to the cynics in the political world. "You know, sometimes people actually do things because they're trying to help somebody. And when we do that everybody ought not to say, "Well, what's in it for them?" This growing cynicism eats at the fabric of the spirit of our country. It's not--it really aggravates--not much that aggravates me. That does," added Kasich. Kasich went on to expand on where the Republican party now stands with Mr. Trump at the helm -- lawmakers have a right to disagree with Mr. Trump while also respecting the presidency, he said. He also questioned the future of the Democratic party, saying the group has "almost lost its soul"
"It better get its act together if they want to compete. Competition in this country for ideas, positive ideas, that is the essence of politics," suggested Kasich. The governor said that now both parties need to "start doing something to raise the bar" and stop blaming others. "We see with the dysfunction in our country. We can't wait for it to be fixed out of the White House anymore. We got to do it where we are," said Kasich.